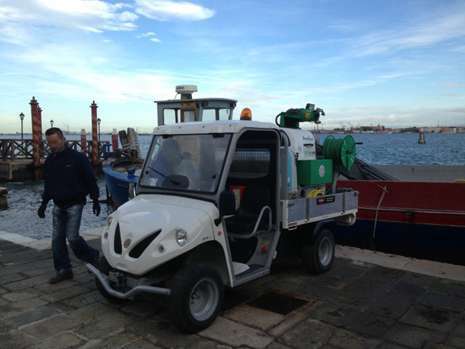 The Alke' ATX utility vehicle used at an island in the lagoon of Venice for the activities of disinfestation. 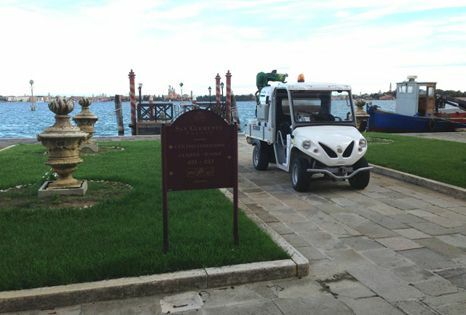 There aren't many vehicles that manage to land in Venice, the Alke' utility vehicle however is one of them. More precisely the Alke' ATX210E has made its appearance on the island of San Clemente within the Venetian lagoon which boasts a wonderful luxury five star resort. 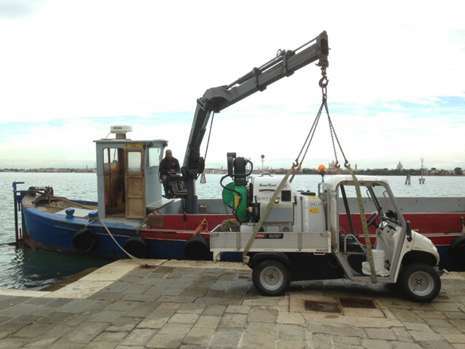 The fully electric work vehicle was brought to the island of the Venetian lagoon by one of our customers, Ecosistem sas, by Orazio Gianluca. With the assistance of a cargo boat it was brought to Venice without problems. It is in fact an extremely compact vehicle (only 127 cm across) and therefore extremely easy to handle. These vehicles have large tyres that also allow movement on grass without ruining them. The sas Ecosistem uses ATX vehicles to perform disinfestation and phytosanitary treatments both for local authorities and at the most important receptive structures of the Northern Adriatic, such as: camping sites, docks, tourist villages and holiday residences, adopting all the precautions possible to operate with a low environmental impact and in respect of public health. 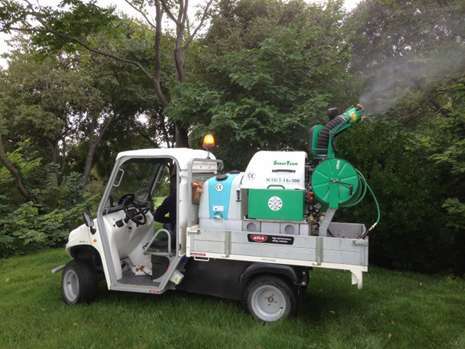 With this in mind, the fleet has seen the addition of 2 Alkè ATX utility vehicles. 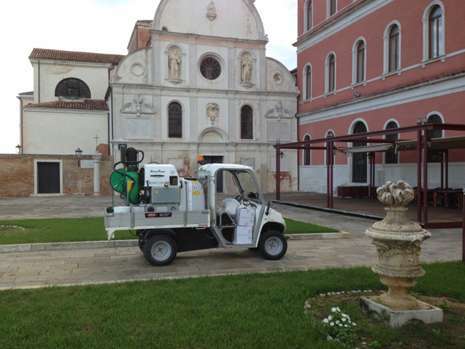 The vehicle used at the luxury resort in Venice was equipped with a suitable atomiser for disinfestation on the load floor. These are utility vehicles that combine high quality construction with a functional design and ensure high performance even under the most challenging of work conditions. 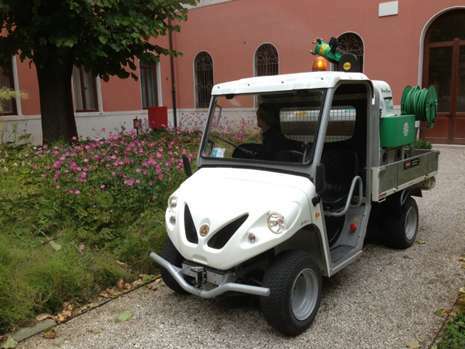 The compact ATX utility vehicle, quiet and without polluting emissions, is certainly the ideal vehicle for operators that carry out their activities in public places as it is possible to work without any problems of acoustic emissions or pollutants.